Established in 1999, Scene & Heard uses theatre professionals to offer playwriting and performance courses that give children a voice and public platform. This grant facilitates work with children from two local primary schools who are usually at risk of being excluded, struggling academically, have English as a second language, SEND or other disadvantage. 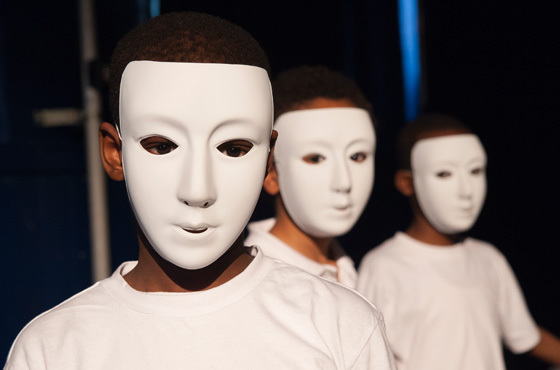 The project provides one-to-one support to write plays that are then performed by professional actors, aiming to improve literacy skills, communication and attitudes towards education through theatre. Flash was established in 1997 with a focus on enabling children from low-income or disadvantaged families within the area to become involved in the Performing Arts. Over recent years, it has extended its focus to include sport, physical activity and dance in response to local demand. Sessions are open to anyone aged 10 to 25 and are inclusive to all young people including those with learning difficulties and special educational needs. Current regular sessions include wheelchair dancing, SEND workshops, Dance, Musicals & Theatre workshops and half-term and holiday clubs. Founded in 2002, House of Illustration (HoI) is dedicated to the art of illustration in all its forms. The Illustrators-in-Schools initiative will provide six schools with a talented illustrator trained in education delivery for a full-time residency lasting one academic term for each school. Each school will work with the illustrator to tailor workshops, projects and presentations which will effect a long-term change in their schools’ approaches to creative learning. Delivery includes class visits to an exhibition and workshop at HoI and CPD for teachers. Royal Opera House (ROH) is a British cultural institution, it aims to engage and enrich people’s lives through the Arts and houses two world-class artistic companies: The Royal Opera and The Royal Ballet. Through a pioneering recruitment programme for National (Arts) Portfolio Organisations, this life-changing apprenticeship in Stage Engineering and stage automaton will be offered to one young person from the Charity’s Beneficial Area. Established in 1990, Brent Play Association (BPA) is the main provider of play services for both disabled and non-disabled children in Brent. Its services include after-school services, day-care and weekend activities for young people aged 8 to 25 and one-to-one mentoring for vulnerable young people aged 12 to 25 years old. Other services include advice and guidance on entitlements, children’s statements of need, referrals to specialist help, day-care, emergency respite, workshops and guidance on exclusions and behavioural issues. First opened in 1997, Home Start (HS) Barnet offers support, friendship and practical help to families in Barnet and Harrow. Nearly 25% of children in Brent live in poverty compared to the national average of 19% and the population of under 5s has increased by 11% since 2011. This grant is enabling HS Barnet to establish a satellite service in Brent, recruit local volunteers and improve the early intervention and family support offered in the borough. Founded in 1988, Shepherds Bush Families Project is a vital community hub that supports some of the most socio-economically deprived families in the borough. Its services prioritise families with housing insecurity, including those in temporary emergency and crowded accommodation. The after-school club is free for these families, offering arts and crafts, games, homework support and a save environment. The holiday programme supplements this, providing outings to local parks and places of interest, reducing isolation and offering new experiences. Based in Belsize Park, Three Acres Community Play Project provides out-of-school care for children aged 5 to 12 years. Its services include a breakfast club, after-school club, girls club and school holiday play schemes. Activities on offer range from cooking, arts and crafts, homework support and opportunities to take advantage of its grounds with adventure play structures, a sand pit and football pitch. This grant will also enable one-to-one support where required, further outreach and holistic support for families. In the UK today, 71% of children placed in Care who have siblings will have been separated from their brothers and sisters. Siblings Together provides services and support to these children. It runs residential camps, Monthly Activity Days, a Youth Mentoring programme and a creative project in partnership with the Arvon Foundation and Young Vic. Monthly Activity Days provide the opportunity for children and young people to meet their siblings in a friendly, fun and positive atmosphere. Established in 2005, West Euston Time Bank (WETB) provides support and activities to families with children under 12 years old from the Regents Park Estate (NW1). Its family activity programme provides three days per week of activities and trips across the school holidays, bringing together children from seven primary schools. Costs are heavily subsidised by WETB and each trip includes free healthy meals, particularly for those children usually in receipt of free school meals. Established in 2015, Young Hammersmith & Fulham Foundation (YHFF) is a membership organisation for organisations that deliver services for children and young people up to the age of 25 within the borough. Created in 2009, the H&F Supplementary Schools Forum provides support to small, local supplementary schools, increasing capacity, encouraging joint working and raising standards in teaching. Good Thinking was established in 2012 to promote science and to challenge pseudoscience. The organisation encourages curiosity and engagement with critical thinking through maths initiatives. Top-Set Maths is for students between 11-18 from non-selective state schools. With a typical top-set maths class containing the top 25% of students, the initiative aims to stretch the students, pushing them to question and accomplish further by encouraging schools to create a further top tier maths set. In doing so it also aims to tackle the lack of disparity and representation among students reading STEM subjects at high-achieving universities. The Education Charity (TLG) helps children who are struggling at school. The Early Intervention Project aims to improve behaviour and school engagement among primary school children, reducing the risks of truancy and exclusion. The project aims to establish a partnership between a church and a local school, with volunteers recruited via the church networks to provide one-to-one non-religious mentoring. Volunteers use resources during sessions that help children explore their choices and the consequences of their actions using literacy and numeracy in fun and engaging ways such as rocket design or jewellery making. Oxford Gardens Primary School is rated ‘Good’ by Ofsted. It is the only primary school in the borough with a significant Traveller community. This project will employ a Learning Mentor from the Traveller community to build strong relationships with families, children and school. The Learning Mentor will support the children in class, in small groups and on an individual basis through the day, in addition to running homework clubs for the children on the Traveller site next to the school. Speakers Trust is a communication skills training charity, with a vision for every young person to be able to speak confidently and be heard. ‘Future Voices’ is an initiative created by Speakers Trust to enable students in Years 12 and 13 to improve their communication skills and build awareness of careers options. ‘Future Voices’ includes a whole training day, careers visit, CPD sessions for teachers and a presentation day for all participating students. All students who complete the programme will receive an accredited qualification from the English Speaking Board. Afghan Association Paiwand is a supplementary school that has been awarded ‘special distinction’ by the National Resource Centre for Supplementary Education. It is one of the largest Afghan organisations in the country delivering Saturday schools (ages 6 to 16), mentoring (ages 13 to 21), supported accommodation (ages 16 to 21), preparing for employment, youth groups (ages 15 to 21) English classes and more. Action on Disability seeks to create opportunities for disabled young people and tackle isolation. Its Youth Service is aimed at young people aged 11 to 25 throughout the year, providing individual support to c.40 young people along progression plans. Activities include weekly drama projects with the Lyric, dance projects with Dance West and music projects with Musiko Musika and the Tri-Borough Music Hub. Its young service users are also supported to undertake the Duke of Edinburgh Award. Since 2005, Disability Sports Coach has been working to tackle inactivity and isolation for disabled young people by providing inclusive multi-sports activity sessions for those aged 11+. This grant is funding three pan-disability Community Clubs in the Charity’s Beneficial Area, run by a disability-trained coach and supported by volunteers, who are often more experienced members of each cohort and have the opportunity to gain a Level 1 FA Coaching Qualification. Activities include bowling, water rafting, sports and bi-annual friendly multi-sports competitions between the clubs. Based at the Alec Reed Academy in Northolt, Future Stars is a local sports hub which supports young people aged 8 to 19 to achieve their potential, providing grassroots to elite-level sports. The Elite Performance Pathway Programme is a full-time, two-year course aimed at young people aged 16 to 19 who are NEET, but have the potential and passion to excel in sport. It places academic attainment on a par with athletic attainment and aims to enrol 40 young people in its first year. Upper Room works with socially disadvantaged people in London to relieve poverty and distress. UR4Driving is one of its three core programmes, aiming to break the cycle of re-offending by providing employability skills. This grant will fund 20 young people who have recently been released from prison with tailored support, motivation and employability skills to secure sustained employment in the transport sector. Workshops include confidence building, anger and debt management, CV building and interview skills. Somali Youth Development Resource Centre (SYDRC) is a Somali-led organisation that has been supporting young people in Camden, aged 13 to 19, since 2002. The youth club offers a range of activities including table tennis, snooker and educational workshops. SYDRC also runs a programme of trips and residentials available to young people with regular attendance of workshops on crime prevention, self-esteem building and drug/alcohol awareness sessions. Built in 1910, Phoenix Cinema is a community resource which exhibits non-mainstream UK and foreign films, hosting talks and Q&As with directors, actors and film professionals, while working with higher education institutions and festivals. The Making Images project demystifies the film industry by giving 60 young people the opportunity to participate in a programme of film production, exhibition, funding, marketing, PR and distribution in partnership with Birkbeck University. Apples and Snakes is a National Portfolio Organisation of the Arts Council England, specialising in performance poetry and the spoken word. First introduced in 2003, its ‘Libraries out Loud’ initiative aims to improve literacy levels, self-confidence, creative expression and motivation among children and young people, while transforming libraries into artistic settings. It includes a ‘Telling Tales’ six-week creative programme for 7 to 11 year olds and a ‘Library Takeover’ over four to six months which gives young people and librarians the tools to run creative events and activities in their local library. Activities culminate in the SPINE Festival with an in-house artist delivering workshops in libraries. The Grasvenor Project provides support for looked after, adopted and ‘at risk’ children in Barnet to overcome barriers to achieve academically. The project has two strands: the ‘Physical Project’ provides a placement for the child in a nursey or infant school environment, supported by a mentor one day per week for 12 weeks. The ‘Outreach Project’ matches young people to mentors who support them within the local community. The RAF Museum seeks to tell the story of the RAF through its people and collections. This grant is supporting the Historic Hendon Community Programme to expand its offer and outreach services. Activities include family events, including during school holidays, talks and films to bring local communities together, developing performances based on the stories of Historic Hendon (resulting in Arts Award accreditation for participants), oral history projects and volunteer training in research, digitisation and object conservation. Queen’s Park Primary School is an Ofsted-rated ‘Good’ school in Westminster. Children’s University encourages both children and their parents to access after-school and extra-curricular activities across schools, museums and businesses in their local area. In attending these community hubs and participating in educational activities, children collect stamps in a ‘Children’s University Passport’, to earn a ‘University Graduation’. Queen’s Park Primary will be the Westminster Children’s University hub, coordinating local schools to participate and share resources to open up as many opportunities as possible for their pupils. The Jewish Museum explains the history, culture and contribution of Jews in Britain from 1066 to the present day, exploring themes including identity, migration and settlement. The Genesis Programme is part of its educational offer. It aims to support children supporting schools in the delivery of religious studies, developing children’s understanding and empathy for different cultures and faiths. Education and Skills Development Group provides supplementary education to Somali and refugee children aged 7-14 years with low educational achievement, poor attendance and/or behaviours and low aspirations. This project is supporting 20 children transition from primary to secondary school through long-term mentoring, one-to-one support for parents/carers and helping families to build positive relationships with teachers. Global Skills Centre (GSC) is a small Brent based charity that delivers KS2-4 tuition, robotics, coding, vocational courses for those at risk of becoming NEET. GSC Supplementary School has been created in response to demand from the local community. It is running after-school sessions for 72 children and young people (8-16) in core curriculum subjects four days a week, alongside helping to build relationships between parents and schools. The first Doorstep Library project was originally part of a pilot project by ATD Fourth World on the Fulham Court Estate. The initiative which aims to instil a love for reading among disadvantaged children quickly gained momentum in the local area and was registered as a separate entity in 2010. Home-reading volunteers are matched with families and visit on a weekly basis to listen to children read aloud and improve their literacy. This funding will support Doorstep Library’s existing provision in Hammersmith & Fulham and expansion to three new estates in Westminster. Learning & Development Centre (LDC) was established in 2001 in Camden to work with refugees and asylum seekers from Ethiopia and Eritrea. It now works with all communities. Over recent years the LDC has increasingly focused its efforts on providing supplementary schooling and educational services and is one of the main supplementary schools in Camden. This grant contributes towards tutor and project costs of the supplementary school, in addition to healthy eating and sports programmes. The Wish Centre has provided support for young people who have experienced self-harm, sexual and domestic abuse in Harrow since 2004. Its interventions include long-term psychotherapy, one-to-one support, peer support group work, early intervention and prevention projects, out-of-hours text-based and online support, and training for professionals. This grant provides vital increased capacity for these services. Established in 1989, Action for Stammering Children supports young people (two to 25 years old) and their families. It empowers children with a stammer to have a voice, supports speech and language therapists to improve their services and works to change public perceptions. Nationally, 5% of children will stammer, however there is no current framework in schools for identifying and supporting this ‘invisible’ disability. The Collaboration Changes Lives project will support 94 children and families in the Charity’s Beneficial Area each year through assessments, therapy courses, training for School Leadership Teams and SENs, both in-school and at the Michael Palin Centre. Contact is a UK-wide charity that provides advice, information and direct support to families with disabled children. Run by Contact Ealing, the Empowering Families project is tackling the isolation and exclusion disabled children, their siblings and families experience by providing a series of inclusive family events and social activities. Workshops will also be run for Parent Support Groups, helping them to build networks and tackle key themes. Established in 1965, Ealing Mencap provides support, opportunities and advice for disabled people aged 14+, their families and carers. Ealing Mencap currently delivers a weekly three-hour after-school club funded by London Borough of Barnet Council, but demand for this service outstrips capacity and there is a waiting list. The project will extend its provision for these young people enabling them to build practical, social and essential life skills alongside their peers. Activities will include cooking, travel training, dance, swimming and arts. Sport at the Heart is a grassroots Brent-based charity which delivers regular sports and physical activity sessions to children and families across the borough. It specialises in working with hard-to-reach young people and those under-represented in mainstream sports. This grant will facilitate its 12 open community-based physical activity and wellbeing sessions, which engage more than 150 children, young people and their parents each week. Established in 1969, Princes Park Youth Football Club provides football training and coaching to more than 250 young people (aged 4 to 16) each week. The Football Development Manager will increase the club’s capacity, allowing it to run full-time, widen participation for girls and young people with disabilities and create progression pathways for young people aged 16+. Activities culminate in bi-annual girls’ and disability-focused football tournaments. The Manager will also support young volunteers to attain coaching qualifications. Harrow Carers is the lead carers support agency in Harrow. It currently supports young carers in schools through one-to-one support and group sessions, and provides monthly social activities and trips for young people. This project aims to strategically develop its services in Harrow for young carers, under the age of 18, by recruiting a full-time Young Carers Service Manager. This new post will enable Harrow Carers to reach an additional 450 young carers over three years and raise its profile in the borough. The Mix is a multi-channel support service offering children and young people free, confidential help through phone, web and counselling support. This project is the culmination of the work around establishing a Venue Bank for the Young People’s Foundations. It has the expertise in the digital field to lead on commissioning, building and managing the construction of both the infrastructure and web portal. They will also offer the first-line support, training and technical development of the Venue Bank. Founded in 2012, the US Charitable Trust works to combat youth unemployment and improve mental health through a variety of life and work training programmes. Among these are computer science and coding sessions, a mentoring programme, linking apprenticeship programmes and job training opportunities for NEET young people (aged 18 to 20). Its Wednesday Night Dinner Project teaches informal business skills, networking, a healthy meal and talks from inspirational individuals to young people aged 16 to 18. This grant facilitates the day-to-day running of the project in Brent. The Earls Court Youth Club (ECYC) is a medium-sized youth club providing services to young people between the ages of 9 and 19 years living in the Earls Court area and further afield. This project will re-establish the Club’s popular Junior Youth Club (9-13 years old) which provides a refuge and service for children after school. The Junior Club will run for three hours, three days a week. Activities include cooking, healthy living, dance, sports, building robotic cars, peer development projects and T-shirt printing. The YMCA George William College (accredited by Coventry University) is the only specialist Youth and Community Work Higher Education institute in the UK. Currently supervision is not compulsory within the youth, community and school work professions, despite being regarded as a crucial practice in quality control and safeguarding. This grant aims to embed supervision within the culture of the Charity’s Beneficial Area by training professionals in supervision, good practice and astute interventions. As the project progresses, a ‘CYP Supervision Bank’ will be created and held by the YMCA. Founded in 1998, Trailblazers mentoring was the first prison-based mentoring charity in England. Its ‘Through-the-gate’ mentoring programme aims to reduce reoffending. The programme consists of six months of weekly one-to-one mentoring sessions while in prison, followed by up to nine months of support post-release. It aims to prepare young people for the challenges they might face following release, supporting them to meet personal goals and re-assimilate into society. Tricycle Theatre Company presents world-class, innovative theatre. Building on its pilot, the Mapping Brent initiative is creating five ‘young companies’ of young people aged 14-25 from the harder-to reach areas of Brent. They work with practitioners, attend weekly creative workshops and perform works within their communities that showcase the borough’s diversity and bring new, unheard voices to the stage. Participants are working towards the Gold Arts Award. Covent Garden Dragon Hall Trust is a community facility and leading youth club based in Camden, that works with young people aged eight to 25. It has recently expanded its offer to incorporate digital and technological education. This grant towards core costs of the youth club is enabling more than 1,000 young people to continue accessing its services, including tech workshops and outreach digital inclusion activities alongside its usual programme of play, volunteering and youth work. Established in 1994, Eastside offers a range of initiatives engaging children and young people in the arts to help develop their creative thinking and become the problem-solvers of tomorrow. Verse versus Verse is a creative literature programme that will work with 600 primary school children and provide CPD for their teachers. Children write and perform spoken word poetry, culminating in pupil teams from each school performing their pieces in a West End Theatre Poetry Slam. Holborn Community Association is a community hub working with c.10,000 residents of all ages to ensure a thriving, vibrant and inclusive community. The Digital Media Project are a series of weekly media arts sessions delivered by specialists, allowing young people to explore digital arts including film, in an area of Camden that has very limited arts provision. Outreach ‘roadshows’ showcase their work and participants are given the opportunity to work towards Arts Awards. The Foundation for Young Musicians (FYM) was established in 1990 to raise funds to provide bursaries for children from all over London to attend the Centre for Young Musicians (CYM). It currently provides funding support to around 80 young people each year. This grant enables FRM to coordinate an outreach programme across the Charity’s Beneficial Area, working closely with the Music Hubs to increase musical opportunity and greater participation of its young people. Scarabeus Theatre was founded in 1988 to deliver positive cultural and social change through the medium of aerial theatre. Developed in collaboration with Migrant Help UK, the EXODUS programme will bring together students and families from different and diverse backgrounds to challenge popular conceptions of refugees and migrants through the creative arts. Weekly theme-based workshops are provided at primary schools, creating a safe space for dialogue for children. Activities include cocoons, storytelling, textile work, theatrical techniques and games. Since 1983, Pimlico Toy Library (PTL) has provided drop-in play sessions and a toy loan service for local families with children under 11 years old. Qualified Toy Librarians equip parents with the skills required to create positive relationships with children through play. PTL also provides a range of drop-in sessions throughout the year specifically targeted at under-5s which are often attended by Speech and Language Therapists for referrals. PTL also supports its unemployed or low-income families with one-to-one support, informal parenting training, structured play sessions and courses. Creative Performance is a small Brent based charity that has been delivering arts and cultural projects for children and young people aged 5 to 12 years old since 1996. The Positive Arts project provides weekly events for up to 30 under-12s from North Wembley. Its creative arts sessions focus on delivering fun, interactive shows and difficult social themes such as drug and alcohol abuse are often explored with families as part of the process. In 2012, TalentEd was founded to challenge the brightest pupils from low-income backgrounds to realise their full potential and allow retired teachers to remain engaged with the profession. Following the previous success of this programme, TalentEd tutors provide intensive and engaging afterschool classes to support 24 pupils in each of four schools, with no more than six pupils per tutor. Kids’ Cookery School was founded in 2000 to give every child access to fun, educational cooking experiences, with the aim of helping them to make informed choices about food, health and diet. This grant funds a series of cooking classes in Acton and via a mobile pop-up kitchen to under-5s, Looked After Children, young carers and families. The Windsor Fellowship was established in 1986 in response to the race riots, to help young people from diverse ethnic background to better access the employment market. Working in partnership with secondary schools, this grant is funding 100 students (aged 14 to 16) to participate in a development and leadership programme. It is being delivered through 34 one day workshops over two years, including academic support in English, Maths and Science and a Parents’ Programme. The Chelsea Academy Foundation supports the advancement of education, opportunity and aspiration for young people at Chelsea Academy. The programme will support two cohorts of 25 students over two years to cultivate some of the Academy’s brightest students to apply to the top universities. It aims to engender a cultural shift in the way students think about their aspirations and future, and involves collaboration with other schools and project alumni. The Access Project aims to address social mobility inequalities for disadvantaged young people by supporting them to reach the top UK universities. Its Access to Higher Education Programme targets 60 students (aged 14 to 18) at St George’s Catholic School. Activities include regular tutorials, one-to-one meetings, seminars, university trips and the opportunity to join subject-specific organisations. An Access Project Coordinator is based at the school for two days per week. College Green Maintained Nursery is an Ofsted-rated ‘Outstanding’ school in Brent. 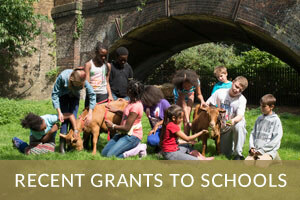 This grant will build on the successful pilot of the Forest School in Brent last year. Primarily targeting EAL speakers, children with learning disabilities and ‘summer born’ children, it supports children to develop self-esteem hands-on learning experiences in a woodland or natural environment with trees. The project involves a weekly trip to Hampstead Heath and is helping to establish the programme at other local schools. Founded in 2009, Strength in Horses provides qualified clinical psychologists alongside trained horse professionals to offer Equine Assisted Psychotherapy to vulnerable children and their families with social and behavioural difficulties and mental health needs, most of who come from deprived inner city areas. In partnership with Learning through Horses, 45 participants are engaging in Horse Camps and a 12-week Employability and Horsemanship Skills course to gain a QCF accredited qualification. St Gregory’s Catholic Science College is a voluntary aided mixed secondary school in Brent. In partnership with qualified therapists from Brent Centre for Young People, this grant will provide one day per week of emotional wellbeing support to some of its most vulnerable pupils. This project provides learning, engagement and development for students, in addition to a reducing the stigma attached to mental health. Formed in 1989 the Turtle Key Arts Trust aims to help all young people participate in the arts and achieve their potential. Emphasis is placed on disabled, disadvantaged or socially excluded young people. Each month, the Key Club runs two popular age-specific creative workshops followed by a social gathering, which reduce isolation through structured activities. 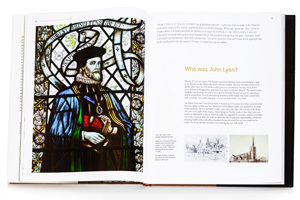 Books, films, TV, radio and theatre shows and art exhibitions have all been produced previously. Arlington Futures was founded in 2012 to relieve hardship and distress amongst the homeless and for the advancement of education and training, particularly for the unemployed and is the charitable arm of One Housing. Its apprenticeship programme currently supports 24 care leavers to achieve Level 2 and 3 qualifications in hospitality, events and business administration. A dedicated Support Worker also provides one-to-one support and tailored opportunities to the young care leavers. Sufra is the first British Muslim food bank. It aims to confront the causes and symptoms of poverty by providing for the immediate needs of destitute local people together with long-term skills development, employability, health and well-being. The Food Academy will train 80 vulnerable children and young people every year between the ages of 11 and 18 in cookery skills, budgeting, food safety and nutrition. Run by a chef with Michelin Star experience, it will culminate in a Masterchef competition and create greater opportunity to work within the catering industry. In response to decreasing youth services, A.P.P.L.E has provided drop-in, open access, free sessions during out-of-school time for children and young people (aged eight to 18) since 1996. Over 100 children attend each week and activities are designed to encourage young people to ‘take the next step’ – whether through training or new skills. This grant is enabling A.P.P.L.E to continue its youth provision which includes arts, sports, play, gardening, community events and supporting older young people to gain qualifications such as First Aid and football coaching. Fitzrovia is a leading youth action charity based in Camden that aims to help young people develop their self-confidence, aspirations and employable skills. Youth participation is at the centre of that they do, teaching young people to run projects that address issues they care about within the community and deliver peer education workshops. This grant enables them to continue their offer and maximise the use of their new youth-run community space. Founded in 2001, E.A.S.E is a community development organisation that provides training, information, support and activities to local residents. This grant is enhancing its young provision, including the introduction of afterschool clubs for younger children before they are able to join the existing junior youth club (for children aged eight to 12) and other services. Its CYP projects focus on community and language, physical development, ‘understanding the world’, personal, social and emotional development and homework support. Coram’s Fields is a seven-acre site in London that operates a park, outdoor sports facilities, music studio and self-contained youth centre. Its youth programme is aimed at 11 to 19 year olds and provides drop-in nights, creative arts sessions, employability workshops, use of the IT suite and homework support. Founded in 1985, the Iranian Association supports ethnic minorities, migrants and refugees in integrating into the UK and improving their quality of life. This grant will enable the Iranian Association to improve its youth provision, which focuses on Iranian and Farsi-speaking children. Activities include English and Maths classes (NRCSE accredited), arts and crafts and dance classes. Emotional wellbeing support will also be provided to children in this safe, informal setting. Redthread was established in 1995 to support young people to navigate the challenging transition from adolescence to adulthood. The Youth Violence Intervention Programme was first established in the Major Trauma Centre at King’s College Hospital in 2005. Specialist youth workers are embedded into Emergency Departments to meet young people aged 11 to 25 that are admitted as a result of serious violence, assault, abuse or exploitation. An intensive (c.3 months) and bespoke support action plan is then implemented between the hospital and local community environments. Only Connect is a criminal justice charity that works with Londoners aged 16+ who have recent experience of the justice system; engaging at all levels of the justice system to help reduce re-offending and support young people contribute positively and achieve their goals. The OC West projects are a six-week music course, culminating in a BTEC Level 2 qualification and an eight-week catering course with BTEC Level 1, alongside one-to-one support to improve resilience, build coping mechanisms, teach consequential thinking, housing, future planning and more. The Anti-Tribalism Movement was established in 2010 in West London by a group of young British-Somalis to fight clan-based discrimination in the UK by creating dialogue between communities. The Inclusion Coordinator runs workshops, creating a safe forum for young people to share their experiences and support one another, engaging an additional 120 young people each year. One-to-one support and referral to leadership, volunteering and employment courses is also provided. Established in 1969, The Place is a centre for dance development and is home to a number of award-winning dance schools and companies. The Get Camden Dancing project aims to provide access to world-class dancing resources and expertise to local children and young people. The project is building on the Get Camden Dancing one-year pilot, which succeeded in engaging pupils from four primary schools in Camden. Founded in 1978, Community Focus is a multi-arts centre based in Barnet which encourages inclusivity and participation in the arts from all members of its community. The ARTiculate Futures project is designed to support young people aged 16 to 25 with mental health needs before medical intervention is required. Continuing on from a three year pilot, ARTiculate Futures gives young people with the opportunity to participate in a 16-hour arts-based project of their choice, supported by a professional artist. Box Clever Theatre is a writer-led theatre company that aims to introduce young people to and incorporate them in all aspects of contemporary theatre. The Mark and the Marked project highlights the issues of bullying, friendship and respecting difference; focusing on primary and secondary school children from Key Stage Two to Key Stage Four. The project combines performances with workshops to help children analyse the characters’ emotional journeys. Established in 2012, the London Youth Choir (LYC) aims to inspire children and young people and help them attain the highest standards of choral production. The Aspire Outreach programme builds upon its one year pilot to provide choral opportunities to boys from 12 primary schools in Barnet, Brent, Ealing and Harrow. LYC is providing 120 hours of in-school musical workshops to clusters of schools, culminating in a ‘Big Sing’. There are additional workshops for teachers and choral leaders in each borough. The London Academy of Music and Dramatic Art (LAMDA) is a world-leading drama school seeking to positively tackle diversity within the industry. The Pathways programme aims to increase LAMDA’s diversity and make it more accessible to local disadvantaged and disabled young people. This is being done through digital resources, building partnerships with local groups, running workshops and facilitating visits to partners and LAMDA; culminating in an annual Pathways festival. The City of London Sinfonia is an orchestra of professional musicians that performs both nationally and internationally. This grant continues its five-year Key Stage 1 music project, based in Harrow. The project not only introduces children to orchestral music and instruments, but helps to develop their abilities and musical expression. Each class receives three weekly sessions, culminating every fourth week in a concert. The Royal Albert Hall is a world-leading venue for performing arts and live music. This grant will facilitate the Trust in working alongside the Tri-borough music hub to recruit and retain young musicians in the three boroughs. Delivery includes weekly rehearsals over five school terms, half-term ensembles and creative composition sessions. The project will culminate in a choral performance by up to 1,000 children at the Royal Albert Hall. Hear Women was established in 2008 to work with migrant and refugee women and girls from East and North Africa living in North Westminster. It delivers projects on FGM, domestic abuse, wellbeing, employability and provides general advice and guidance. The Saturday Club is held at a local cultural centre for 5 hours per week, in response to demand. Activities include self-defence and football sessions for children (aged six to 15) and healthy cooking classes for parents. St Michael and All Angels Harrow Weald church is one of the only community hub spaces available for local organisations. This grant is towards converting the Chapel and Garden rooms into a space, largely used by local youth and community groups, to run educational and leisure activities for children and young people. It will be available seven days per week. Team Up was founded in 2012 to provide opportunity for additional tuition to young people regardless of their socio-economic background. It supports aspiration and academic attainment, particularly for disadvantaged young people. Delivered by 30 volunteer tutors from leading London universities, this pilot is delivering 30 hours of tuition to up to 120 young people from two primary and two secondary schools in the Charity’s Beneficial Area. Midaye was established in 2002 to provide advice and support to local refugee and asylum seekers. It also runs educational groups on FGM and a local supplementary school. The Reaching High programme provides practical one-to-one support for families, as their children make the transition to secondary school. Early intervention is often key in helping to avoid young people being excluded from mainstream education. This project aims to support 120 parents and young people. SkillForce is a national charity that utilises the skills and experience of ex-services personnel to help children and young people (aged five to 19) become more resilient and confident. The Your Future programme targets young people aged 16+ who are underachieving or underconfident at school, to help them make a successful transition from mainstream education into further education, training, apprenticeships and employment. Young Urban Arts Foundation was established in 2009 to support disadvantages young people (aged 8 to 25) to build their resilience and confidence through music and the arts. Skip to the Beat is an afterschool programme of creative arts workshops which supports young people with mental health conditions to develop resilience techniques, gain practical life skills and boost aspirations. Participants are also offered the opportunity to train as peer educators in mental health after completing the programme. Castlehaven Community Association was originally established in 1985 to respond to the lack of facilities for local residents. This grant facilitates three youth club sessions per week, aimed at children and young people aged 11 to 20. Sessions are developed in consultation with young service users to include activities such as mixed martial arts, arts and crafts and cooking. Founded in 1866, St Andrew’s Club is the world’s oldest youth club. This grant facilitates its youth support work by funding three senior staff positions. Staff members help young attendees to build skills, self-esteem, confidence and positive interaction with peers. Services include informal education programmes and providing a safe, supportive environment away from estate-based tensions. Barnet Community Projects (BCP) was established in the Underhill Ward of Barnet in 2010 to support local disadvantaged young people and their families. As well as delivering its own outreach youth activities like skateboarding and estate-based football projects, it supports a number of community-based start-up projects with the aim of facilitating social improvement within the borough. This grant is increasing the capacity, coordination and delivery of its youth work programme. Founded in 1995, the Afghan Association of London provides advice, advocacy and support to help Afghan refugees integrate and make a positive contribution in the UK. This project employs a Youth and Community worker to promote social inclusion and increase youth participation in sports and extra-curricular activities including cricket, chess, volleyball and a football league. Youth Action Alliance was formed to reduce social exclusion for young people aged 13 to 25 across North Kensington. This grant funds a youth work coordinator and facilitate Open Access Youth Work Sessions (three per week) that promote activities including a residential, arts and craft session and youth engagement; and healthy living including sports, a gym and safe space to talk. Twice weekly ‘Feel Good to Achieve’ workshops aim to increase girls’ self-esteem and life skills. Founded in 2009, Refugee Support Network (RSN) is the only organisation in London solely focused on education and mentoring for young refugees, asylum seekers and survivors of trafficking. This grant is enabling RSN to develop their Specialist Further and Higher Education Support programme by providing capacity for tailored one-to-one support. It is supporting 90 young people to overcome barriers to access higher or further education. Established in 2007 Khulisa, meaning ‘to nurture’, supports offenders, ex-offenders and at-risk youth through interventions and training programmes in schools, pupil referral units (PRUs) and other community organisations. The Life Skills project is a series of group workshops and one-to-one support sessions delivered to KS3 and KS4 students in a PRU, to help them develop emotional resilience, increase motivation and build aspiration for positive change at this key stage in their lives. Wise Thoughts is an arts charity that aims to improve the quality of life for marginalised communities - particularly LGBT and BAME - by challenging stereotypes and using arts as a tool to encourage social cohesion. Building on its successful pilot in Barnet and Camden, the WiseOUT! programme is supporting more young people by addressing the complex issues and challenges around LGBT/BAME identities within at least 20 secondary schools. Key4Life was established in 2012 in the wake of the London riots, with the aim of rehabilitating young offenders, breaking the cycle of reoffending and supporting at-risk and vulnerable young people. This grant contributes to a rehabilitation programme at Wormwood Scrubs including one-to-one employment support, work taster sessions, emotional resilience sessions, life-skills workshops, group support meetings and a residential. Graduates are also training to become mentors. The English National Ballet is a world-renowned ballet school. 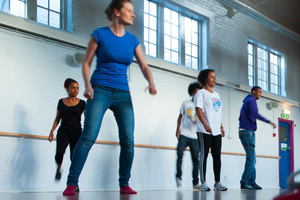 Dance Journeys provides the opportunity for secondary school students from across West London to learn from their expertise. Dance Journeys Phase Two celebrates and builds upon the success of its first three years, culminating in a live matinee takeover performance at the end of year 1, that showcased the talent of local young people. Phase Two is also engaging teachers in West London schools to encourage arts projects at a local level and enhance the sustainability of the project and its benefits. Social Political Independent Direct (S.P.I.D) Theatre Company work provides access to high quality arts projects to disadvantaged young people (aged 13 to 25) from council estates in North Kensington. Estates of Play aims to build skills, community relationships and pride in their local heritage through 45 free weekly sessions. Sessions cover topics from architecture and oral histories to drama, logistics and guided tours. They will culminate in an estate-based film, promenade show and a youth-led tour and exhibition; bringing local history to life. The Creative Dimension Trusts teaches fine hand skills to 14 to 18 year olds through funded workshops. It empowers young people to bring their designs to life, while also providing business education to increase employability in professions such as engineering and architecture. The project is running up to six summer schools lasting five days each, and a further two courses delivered over 10 weeks by leading specialists within their fields. Home-Start supports vulnerable families with children under five years old. Through a network of volunteers it provides one-to-one home visits, community coaching and support groups to families in Harrow. These families face a variety of challenges such as bereavement, poverty, mental illness, disability and domestic violence. The grant is funding one-to one support for around 100 families per year, creating a healthier, more supportive environment for their young children. Founded in 1989, Westminster Befriend a Family provides mentoring, befriending and support to local families in poverty, with children aged 0 to 18 years old. The grant is supporting them to expand their current befriending service in response to rising demand in Westminster. Befriending volunteers and mentors meet with families for 2-3 hours every week, with initial engagement typically lasting 6 months. £40,000 pa x 3 towards the partnership project between Park High School and OYA! Park High School and the Organisation of Young Africans (OYA!) 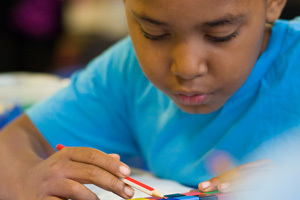 are working in partnership to blend the skills of both mainstream and supplementary schools to support under-achieving and disadvantaged black pupils. Over the last two years, this partnership has run twice-weekly twilight sessions in English and Maths. The grant is building on this initiative by introducing a Saturday school and facilitating educational trips to African cultural events; aiming to raise cultural confidence and reduce the academic gap. First opened in September 2013, the Archer Academy places an emphasis on encouraging students to discover new passions, develop skills outside the national curriculum and broaden their horizons. Based in East Finchley, The Archer Academy has a diverse range of students, many of whom are from disadvantaged backgrounds. The grant is facilitating a range of extra-curricular activities from Spanish Exchange to sports and the Duke of Edinburgh Award to 3D printing. The programme is delivered through one hour sessions, twice per week throughout the term. The Kidstime Foundation supports children and young people affected by the mental illness of a parent or carer. The grant is to provide monthly workshops in each borough, with regular follow-up and referrals where needed. The workshops build understanding and confidence among the children within a safe environment using drama, film, peer interaction and developing whole-family approaches. Bag Books has been providing multi-sensory books and storytelling to people with severe, profound or multiple learning disabilities since 1993. The Story and a Half project provides 25 days of storytelling each year within 16 special schools across the Charity’s Beneficial Area. In addition to specialist storytelling workshops, free sensory books and training is being provided at each school. Founded in 1984, ActionSpace supports people with learning disabilities to access the visual arts to help improve quality of life, confidence and reduce isolation. The grant focuses on arts provision for young people with disabilities in Brent, through three-hour weekly studio sessions with a professional Artist Facilitator. Participants are also given the opportunity to gain an Arts Award. Amici Dance Theatre Company brings together both disabled and non-disabled performers for workshops and performances; challenging conventional attitudes towards disability and the arts. The Young Amici project is aimed at young people aged 11 to 25 from West London. The project is running over 30 weeks a year through 1.5 hour weekly sessions. Stonebridge Boxing Club was created in 2010 to reduce gun and knife crime by keeping ‘kids off the street and out of trouble’ through boxing. The grant facilitates weekly Boxfit classes aimed at young people aged 8 to 12 and 13 to 16, who do not regularly participate in physical activity. Resurgo’s Spear initiative is designed to support unemployed and disadvantaged young people aged 16-24 in gaining and sustaining employment. The grant is funding the initial 6 week phase, Spear Foundation, which provides one-to-one and group sessions to help improve the mindset and skillset of participants. Three-hour weekly sessions will be run in blocks of six weeks, six times per year. UpReach was founded in 2012 to support undergraduates from less-privileged backgrounds to secure top graduate jobs and internships. It aims to break down barriers to social mobility by providing young people with tailored non-academic support and training. 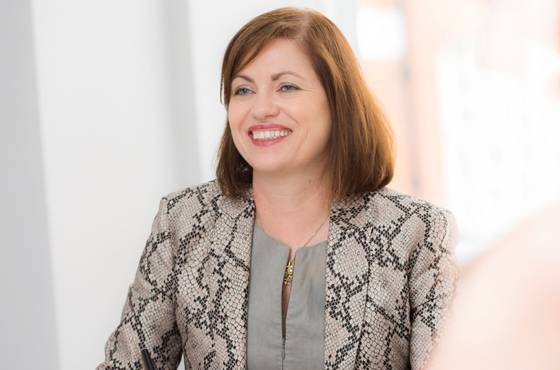 It also works to influence the hiring behaviour of top organisations, to ensure that a commitment to equal opportunity is at the heart of their organisational culture. This grant funds a Programme Coordinator to work with 80 students from the Charity’s Beneficial Area continuously over the three year period. Kings Cross Brunswick Neighbourhood Association (KCBNA) is a community group that provides activities and events for residents of Camden. In conjunction with KCBNA’s Youth Programme, the Positive Activities programme provides meaningful activities for young people within the borough including volunteering, sports, employment and training and workshops on mental health and conflict resolution. Established in 2009, W4 Youth is a community project providing activities, coaching and career counselling to more than 300 young people aged 11 to 19, in a safe and fun environment. Activities include street dance, singing, drama and sports. Founded in 2005, the Ansar Youth Project supports disadvantaged and marginalised youths, often from minority communities. Run by and for young people aged 10 to 25, the youth programme aims to help their service users lead more independent and healthier lives. Activities include youth clubs, sports and workshops in youth development, IT, conflict resolution and employment support. NW5 Play Project was set up in 1973 to support young people in Kentish Town. 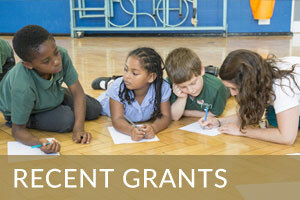 The grant is enabling NW5 to develop their services for children up to the age of 14. The Playwork scheme provides daily after school clubs and holiday play-schemes; increasing their capacity to provide support to nearby estates. The North Paddington Youth Club provides informal educational opportunities to young people; encouraging them to become positive contributors to their community through a variety of activities. A full-time senior youth worker is providing coordination and development for their junior (ages 8 to 11) and senior (ages 12 to 19) programmes. Young People’s Foundations have been developed to combat the effects of widespread cuts in funding in the Children and Young People’s sector. Their goal is to ensure that the organisations and groups that serve children and young people are strong, sustainable and fit for purpose. The Young Ealing Foundation will carry this work out within the London Borough of Ealing. Young People’s Foundations have been developed to combat the effects of widespread cuts in funding in the Children and Young People’s (CYP) sector. Young Camden Foundation is a partnership organisation which aims to bring the CYP, public and private sectors together to support, empower and help build a better future for young people across the London Borough of Camden. Young People’s Foundations have been developed to combat the effects of widespread cuts in funding in the Children and Young People’s sector. The Young Hammersmith & Fulham (H&F) Foundation aims to provide increased opportunity and voice to children and young people within H&F alongside its voluntary, public and private sector partners. Key focuses of the Foundation are mental health, employability, education, youth justice and healthier lifestyles. Founded in 1986, PAN Intercultural Arts uses the dramatic arts to address a range of social issues, explore cultural diversity and facilitate change. Weapon of Choice is delivered in secondary schools and pupil referral units to young people at risk of becoming involved in youth crime and violence. 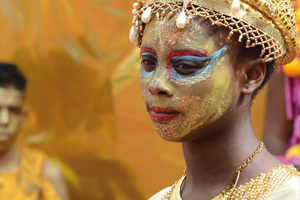 It uses drama to encourage dialogue among marginalized young people. Themes include peer-pressure, youth violence, gang affiliation and more. Outside Chance was established in 1998 to deliver anti re-offending workshops to Her Majesty’s Prisons in Brixton, Wandsworth and Wormwood Scrubs. They have since developed their services to deliver workshops at schools and youth venues throughout London, working to steer children and young people away from gangs, antisocial behaviour and crime through education. It’s YOUR Choice! is a series of interactive workshops targeted at Year 6 students to help increase confidence in making friends, tackle bullying and educate them about crime. Jacksons Lane is an arts and community hub in North London, bordering Barnet and Camden and is an accredited Arts Award Centre. Jacksons Lane has a strong reputation of delivering youth circus workshops in Haringey, Tottenham and Seven Sisters. This grant supports Jackson’s Lane to expand its circus workshops at the Rainbow Centre in Dollis Hill, Barnet. Deansbrook Junior School converted to become an Academy in April 2013 and currently serves 390 children aged 7-11 years old. The Learning Resilience Project uses art to connect school and home life and to help children learn alongside their parents over a sustained period of time. An artist delivers a series of art-based workshops and activities that seek to help children overcome the fear of trying something new and express themselves creatively. Sidings Community Centre is based in North Kilburn and offers Early Years services, after-school and holiday programmes, sports activities and digital learning programmes to local families. The Adventure Soft-Room is equipped with a semi-sprung wooden floor, soft-play matting, indoor bouncy castle and inflatables. It is a vital resource for families who do not have the means to provide their children with a stimulating environment to play in with other children, which is imperative to Early Years development. NEWPIN began as a parent-led organisation and provides a variety of services to parents of under-fives, all of which are aimed at breaking down destructive family patterns through early intervention. This grant supports its drop-in services which are available four days a week and provide vital support for the families who attend. Chickenshed Theatre Trust is an established, inclusive theatre company that has been delivering workshops, performance, education and training, open access activities and outreach projects since 1974. Big Stories from the Little Box provides a flexible and transportable stimulus for theatre-based activities, with professional performers using colourful backdrops, props, puppets and costumes to engage young people from a broad range of backgrounds. Established in 1998, Salusbury WORLD is an effective grass roots charity providing integrated educational, social, emotional and practical support for refugee, asylum seeking and vulnerable migrant children and their families. The Mentoring Project works with young people between 11-19 years old from isolated families at three schools in Brent. It enables families to understand and contribute to their children’s learning and to begin their own journeys toward a more inclusive life in the UK. Brent, Hammersmith & Fulham, Kensington & Chelsea, Westminster. Real Action is a literacy charity based at the Learning Store in Queen’s Park. It works effectively to improve opportunities by specialising in basic literacy and English language for disadvantaged children and adults with high levels of need. The Learning Store offers purpose designed including the renowned Butterfly Reading course for primary age children and the Fast Track (corrective reading) initiative and Speak English! (Callan Method) initiatives for teenagers and adults. First Story works is a creative writing and literacy charity. It places authors as writers-in-residence into state schools where they work with students to nurture and improve creativity and literacy. Each year the First Story programme commences with a Young Writers’ Festival – two inspirational days of writing workshops, talks and performances for 800 pupils from state schools across the country. This grants supports First Story to work with The Bridge AP Academy, Fulham Cross Girls’ School and Wembley High Technology College. The NRCSE was established in 2009 with the support of John Lyon’s Charity and is the leading membership organisation for supplementary schools and the main body responsible for the training, capacity building, mentoring and Quality Marking in the UK. The NRCSE manages this grant on behalf of the members of the Brent consortium that each deliver weekly classes in English, Maths and Science in line with the National Curriculum. The seven members of the Brent Supplementary School Forum are the Charismata Saturday School, Crescent Supplementary School, Dar Al Huda Arabic School, Kilburn Community Saturday School, Kingsbury Somali Youth Project, Mother Teresa Albanian Union and the Willesden Supplementary School. The NRCSE was established in 2009 with the support of John Lyon’s Charity and is the leading membership organisation for supplementary schools and the main body responsible for the training, capacity building, mentoring and Quality Marking in the UK. The NRCSE manages this grant on behalf of the members of the Westminster consortium that each deliver weekly classes in English, Maths and Science in line with the National Curriculum. The six members of the Westminster Supplementary School Forum are the Marylebone Bangladesh Society, WSPM AGAPE, Sudanese Supplementary School, Al Ola Arabic, Ardhmeria Supplementary School and the African Women Group. Farms for City Children offers urban children the opportunity to live and work together on a real farm in the heart of the countryside. It is an intense ‘learning through doing’ experience, enabling children to explore the outside world. It has three farms in Devon, Pembrokeshire and Gloucestershire and this application enables children from 10 primary schools in the Charity’s Beneficial area to attend a farm residential. The Cardinal Hume Centre, based in Victoria, works to support people who find themselves in housing distress. Its work is focussed on five key areas: income, housing, education, skills and legal immigration status. The Learn, Play and Grow project provides an environment that enhances the ability of children from low-income and badly housed families to develop socially and academically. It operates a twice-weekly homework club, an after-school club and a weekly Saturday activity day during term-time as well as a programme of holiday activities. The Postal Museum was founded in 2004 to promote the UK’s communications history through its collections and the Designated Royal Mail Archive. This grant supports the development and delivery of a pilot learning programme targeted at Key Stage 1 and Early Years Foundation Stage which focusses around the popular children’s book, The Jolly Postman. Axis Educational Trust (Axis) was established in 2004 to provide high-quality, affordable supplementary education to primary and secondary school pupils. Axis has 15 branches across the UK, operating in areas where supplementary education is most needed, targeting low-income families. The new Tuition Centre in North Finchley provides 36 weeks of after-school and weekend schooling for 100 young people aged 5-18 who come from a variety of ethnic backgrounds. Martin Primary School is based in East Finchley, Barnet. This grant enables the school to embed a regular Forest School programme to work with all children in years 1, 4 and 6. Each child attends a six-week block of forest school sessions delivered by a qualified practitioner. The Forest School method is recognised as adding another dimension to the curriculum to improve pupil’s self-awareness and resilience. Fulham Primary is a good school serving 337 pupils, 61% of which have English as an Additional Language. A previous grant from the Charity enabled Fulham Primary to establish a Family Group in partnership with School and Family Works and this grant is to maintain and expand the service. 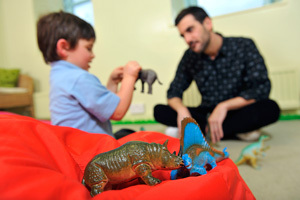 As part of the Family Group project a trained systemic family therapist spends one day per week at the school supporting vulnerable pupils and their families. QPCS is a self-converted academy trust secondary school, rated Good by Ofsted. It has worked with the Brent Centre for Young People (BCFY) for nine years to provide early interventions to vulnerable pupils to prevent long term mental ill health and social exclusion. This grant will increase therapist time in the school from one to two full days each week and provide a combination of group and individual interventions. Westminster Academy was established as an Academy in 2006 and achieved its best results in 2016 with 97% of students achieved the equivalent of A*-C grades. The school has identified that many of its pupils struggle with issues such as behaviour issues, school refusal, family breakdown, attendance issues or depression, but do not meet the thresholds for support from CAHMS. This initiative provides an in-school therapeutic intervention for these pupils with the Anna Freud Centre. Springhallow is a special school in Ealing for 89 pupils diagnosed with autism aged between 4 and 16 years old. Children and young people with special needs have far fewer opportunities to participate in extra-curricular activities than pupils in mainstream schools and they also have less opportunities to participate in activities with their siblings and/or parents. This project is in partnership with Ealing Extended Services team and includes the South Acton Children’s Centre, Belvue School, Castlebar School, Mandeville School and St Ann’s School. It offers a range of arts activities including music, drama and sports and whole-family engagement is an important factor of this project. The Original Taekwondo Club is a long standing and popular Taekwondo club based in West London. As a sport, Taekwondo is a typically quite expensive to access for young people. This grant enables the Club deliver Taekwondo sessions from the Edward Woods Community Centre in Shepherds Bush and from a centre in Northolt and Camden. Three weekly sessions of two hours are delivered at minimal cost to the participants to encourage wider participation. Track Academy exists to enable young people who attend Willesden Sports Centre to participate in a range of sports, and in particular, athletics. It focuses on enhancing the young people’s experience by providing additional study support to prevent young people focussing solely on sport at the expense of their studies. Mentoring at Track Academy is available every day based on need, but formal sessions are held on Tuesday and Thursday evenings and on Saturday mornings, eight hours per week. Formerly Edgware School, London Academy was one of the first ever Academies when it was established in 2004. It’s Table Tennis Club is hugely successful and won the National Schools Championships in 2015. Over 100 students from the School regularly attend sessions that run for four days a week as Breakfast Club, Lunchtime Club and an Afterschool Club. Capital Kids Cricket was established in 1990 to provide sporting and social opportunities for young people in the most deprived areas of London. Weekly coaching sessions are delivered across London to a large number of primary and secondary schools. This proposal is to establish a new junior cricket club at the Spike’s Bridge ground in Southall. Previously there was no Cricket Club in Southall, an area with large South Asian and Afghan communities where cricket is the main sport. Since 1994 QPR in the Community Trust has delivered a variety of sports engagement programmes in its capacity as the community outreach arm of Queens Park Rangers Football Club. The Charity funded the QPR Kicks programme for young people aged 11-15 in Brent for three years from 2011. This grant supports the expansions of the expand the programme across five of the Charity’s boroughs. Black Training & Enterprise Group (BTEG) was established in 1991 and aims to contribute to the economic regeneration of BAME communities with a particular focus on young people in London. The Routes to Success Ethnic Minority Role Model Programme aims to provide young people from BAME backgrounds with aspirational role models and support to choose ambitious career paths that they may have previously classified as outside of their reach. The Somali Youth Helpline operates out of the Somali Resource Centre in Southall and delivers including a helpline, job skills training sessions and family orientated activities such as healthy eating classes for parents and children and tuition and art therapy classes. This grant is towards a new apprenticeship programme which supports young people not in Education, Employment or Training by providing CV writing workshops, practice interviews, advice on educations and employment opportunities and travel costs for young people to attend interviews. Somers Town Community Association is a local community centre, established in 1979, which provides local residents with inclusive services and positive activities. This project enables the Community Association to expand its delivery from three youth sessions a week to five sessions during the evenings and Saturday mornings, which cater for young people aged 14-19. Avenues Youth Project was established in 1979 to serve the local community of North Westminster. It offers a variety of programmes and activities including an after-school club, regular holiday activities and open-access sessions including a film club, cooking lessons, table tennis and photography. This is towards the salary Senior Youth Worker who oversees the core programme of activities. Living Way Ministries is a small church and community group based near Grahame Park Estate in Colindale. It provides a range of services including befriending, a food bank, supplementary school, information, advice and guidance. The Youth crEATe project will provide ten hours a week of activities including cookery and skills sessions, training towards accreditations, internships and apprenticeships and four hours of arts sessions designed to increase cross-cultural learning. The Thanet is a large community centre based in Gospel Oak. It has never had a sustained youth programme of activities that can be accessed weekly, but has instead run smaller ad-hoc projects for young people that last a number of weeks at a time. This grant supports the Thanet’s Project Coordinator to establish a timetabled and comprehensive youth offering to serve local young people. Somali International Youth Development (SIYD) is a small youth organisation based in Brent. This grant enables SIYD to deliver a variety of youth activities focused on football in Harlesden. SIYD run training and mentoring workshops, First Aid courses, FA coaching courses level one and two and refereeing courses, as well as Football competitions throughout the borough. 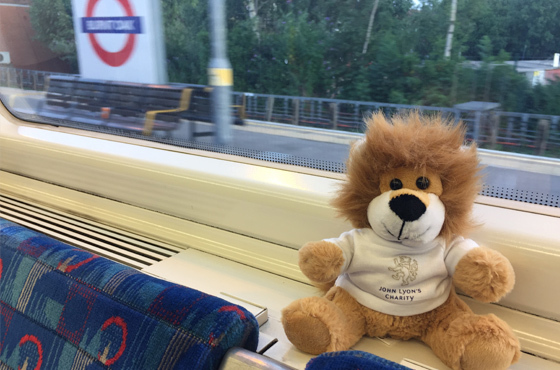 The Young Westminster Foundation emerged after the Children and Young People sector in Westminster was made aware of the work that was happening with YPFs in Barnet, Brent and Harrow. The Charity has been working closely with the Council and various local partners to establish the Foundation as part of our commitment to the YPF model. The YWF will work with its membership and young people (via the Westminster Youth Parliament, the Youth MP and School Councils) to identify the needs of Westminster children and young people to inform and focus funding applications. London Youth is a network of over 400+ member organisations and is a longstanding partner of John Lyon’s Charity. It is committed to the Young People’s Foundations (YPF) model established by the Charity and this grant supports London Youth to develop the YPF Quality Mark and establish a network for existing and emerging YPFs. Brent Carers Centre was established in 1994 to improve the lives of carers. It supports both adults and young carers through the provision of advice, advocacy, family support, counselling, access to work and training and awareness-raising. BCC is the only organisation in the borough supporting young carers who have a range of complex and very specific needs. The Lyric is West London’s largest producing theatre and has a national reputation for its work with young people and for engaging young audiences. Central to the Lyric’s ethos is partnership working, with a ten leading arts organisations residing at the recently refurbished Lyric. This grant will support the development of these creative partnerships in order to maximise the number and variety of multi-artform classes, activities, performances and events available to local young people. The Gate Theatre is a reputable teaching theatre that sits above the Prince Albert pub in Notting Hill. This grant is towards the Creative Apprenticeship programme in partnership with the London Theatre Consortium, which seeks to engage disadvantaged young people and provide routes into careers in theatre. This grant will support one apprentice at the Gate Theatre each year for three years, where they will learn all aspects of running a theatre and gain a Level 2 Diploma in Arts Administration. Barnet Education & Arts Trust (BEAT), formerly the borough’s Music Service, became a registered charity in 2013 and is the lead partner of the Barnet Music Hub. This grant is towards bursaries for Year Five pupils who demonstrate particular musical flare but lack the financial means to continue their lessons. The bursaries will cover weekly instrumental lessons, attendance at BEAT’s Saturday ensembles and exam fees. 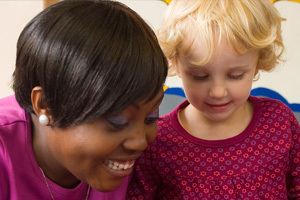 Talacre is a leading provider of out-of-school care for the children aged 5-12 from the local community of Gospel Oak. It provides a range of after-school and holiday activities and supervised sessions such as homework club and other support. This Grant is towards the salary of the Manager, the only full-time member salaried worker, who delivers frontline activities as well as running the Centre. Family Friends provides high-quality early intervention services via volunteer befriending and mentoring to families from Hammersmith & Fulham and Kensington & Chelsea. This application will support Family Friends to expand its services to Brent, which has been identified as lacking suitable provision. POD provides fun and stimulating entertainment to sick children by putting on regular shows at 145 hospitals and hospices across the UK. The shows are delivered by professional freelance musicians, storytellers, clowns, puppeteers and ventriloquists. This grant will support POD to deliver 360 sessions in 13 hospitals in the Charity’s Beneficial Area. The NRCSE is a national strategic and support organisation for community-led supplementary schools and the wider supplementary education sector. It provides training, capacity building and Quality Marking to around 3000 supplementary schools across England. This grant will support the NRCSE to extend its services to support more supplementary schools in the Charity’s Beneficial Area. Securing Success works to improve the education of disadvantaged communities in northwest London by pioneering mainstream and supplementary school integration. It coordinates the Harrow Supplementary Schools Forum and this grant will support it to deliver quality assurance to a number of supplementary schools following the NRCSE framework. It will also directly deliver Family Learning courses which promote the integration of parents and enable them to effectively support their child’s education. St Mary Magdalene Church is a Grade 1 listed church in North Paddington with a resident population of around 50,000 people. The parish hosts a range of community activities including the St Mary Magdalene Music Society, a book club and a variety of arts activities and social events. It is undergoing a large renovation project and this grant is towards the Education Room which will be available for use by local schools and community groups. The Institute of Imagination is a cultural charity which aims to nurture the creative and imaginative skills of young people. It delivers workshops and activities for schools from its mobile ‘Imagination Pods’ which are equipped with items that encourage creativity, problem-solving and innovation. This grant will support it to deliver workshops to schools in the Charity’s Beneficial Area as well as fun activities from its new flagship Imagination Lab in Camden. Three Faiths Forum is a leading interfaith organisation which aims to bring together people of different faiths, beliefs and cultures to create a more connected and cohesive society. This grant is towards the delivery of interfaith workshops to 12 secondary schools in the Charity’s Beneficial Area. The workshop will encourage dialogue about lived diversity and enable students to explore issues relating to faith, belief and identity sensitively and confidently. Sofale is a supplementary school based at Havelock Primary School in Southall which aims to raise the achievement and aspirations of young Somali people. It delivers a range of educational activities, mentoring support and family learning programmes to its local community. This grant will support it to deliver three hours of curriculum support and two hours of sports activities every Saturday for pupils aged 5-16. Maths on Toast delivers immersive workshops for young children and their families which seek to transform attitudes to mathematics by making it family fun. Workshops offer activities and games which combine craft, construction and colouring with mathematical themes. This grant will support it to deliver monthly family maths events in Camden in addition to smaller groups sessions for vulnerable groups referred through Camden’s Family Learning Team. Chess in Schools aims to enhance children’s academic and social outcomes by teaching chess to pupils to encourage problem-solving and logical thinking and improve concentration. This grant will support it to deliver weekly sessions and after-school clubs to ten schools in the Charity’s Beneficial Area and students will be able to take part in regional tournaments at the end of the year. St Mary Magdalene’s is a three form entry, voluntary aided junior school in Willesden, Brent. This grant is towards an emotional wellbeing initiative in partnership with the Brent Centre for Young People which will deliver five hours of therapeutic care each week for vulnerable children. Parliament Hill is an all-girls’ secondary school in Camden with a mixed sixth form which forms part of the LaSWAP consortium. This grant is towards the establishment of a permanent Wellbeing Project tailored to meet the needs of the girls at the school. The project will include drop-in guidance and support services, one-to-one sessions with identified students, group work and peer mentoring schemes. Lean Gardens is a community primary school serving the Shepherd’s Bush area and is part of the Elliot Academies Trust. This grant is towards delivery of systemic family psychotherapy 1.5 days per week. The therapeutic approach engages the entire family as well as the individual child and places particular emphasis on strengthening family relationships. 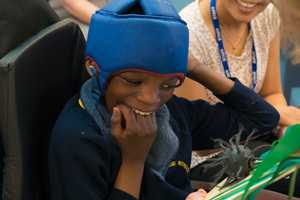 The Big Splash Trust aims to transform the lives of children with severe disabilities across West London by providing a range of holistic activities and tailored support to children and their families. It operates out of Jack Tizzard Special School, which has a state-of-the-art hydrotherapy pool which provides physical relief, improves muscle functionality and acts as a space to socialise. The Making a Splash project will provide stimulating pool activities in a safe, supervised environment for up to 500 young people. The Centre for ADHD & Autism Support aims to support, educate and empower individuals with ADHD and/or autism, their families and carers. It provides a variety of drop-in services, support for parents, behaviour management courses, drama therapy and counselling. The Young Persons Project will provide a safe space to socialise and learn new skills as well as offering therapeutic and counselling services for up to 100 young people. Horn Stars SC delivers a variety of sports and leisure activities for young people from Brent. It runs football sessions most days each week as well as offering a mentoring programme, a family mediation service, holiday activities and open access youth work. This grant is towards its core programme of activities and the salary of the co-ordinator who manages the organisations and delivers sessions directly. The Jason Roberts Foundation provides a holistic range of sporting projects for young people including mentoring, life skills, education and training programmes. It puts high emphasis on social inclusion and has a strong track record working with people at risk of offending and those excluded from school. The JRF Inclusive Sports Programme will deliver a range of structured sports activities for young people with learning and/or physical disabilities. Fulham Reach Boat Club was established in 2014 as a way to introduce people to the sport of rowing and increase the access of local residents to the river Thames. The First Row initiative seeks to develop four boat clubs at local state secondary schools and build up a generation of rowers. Pupils from Year 9-13 will receive coaching and training with the ultimate aim of participating in competitions such as Henley Royal Regatta. London Sports Trust aims to inspire young Londoners and create positive change through the power of sport. The City Sports Academies (CSA) programme engages young people aged 8-16 in a range of sports activities which are complemented by life skills workshops. This grant is towards the delivery of CSA from 12 settings in the Charity’s Beneficial Area including a mixture of youth clubs, housing estates and schools. The Screen Film Community provides film and television training to young people aged 14-25 and supports them into apprenticeships within the industry. This grant is towards the delivery of three, seven-week film and television courses which will include workshops on screenwriting, production, camera techniques, directing and editing. It will also support Screen Film to pilot a new Games Design course. Construction Youth Trust provides young people with training, education and tangible employment opportunities in the construction industry. The Budding Builders programme targets young people who have left education and enables them to work towards accredited qualifications. This grant will support 48 participants to enrol in the programme. Mama Youth Project provides training and employment opportunities for young people from traditionally under-represented backgrounds within the broadcast and media industries. During its 26-week training programme young people produce its flagship TV show, What’s Up, which is broadcast on Sky 1. This grant will support the employment of a dedicated Technical Trainer to enhance the quality of the training offered. The Camden Society works with the parents and carers of children, young people and adults with learning disabilities to campaign for a more inclusive society. The Pro Work project aims to support young people to make a successful transition from full-time education into adulthood and the world of work. This grant will enable a Pro Work Employment Adviser to work with 35 young people who are on one of the supported learning courses at City of Westminster College. QEST was founded in 1990 by the Royal Warrant Holders Association to advance and sustain the education in modern and traditional crafts and skills and to support excellence in British craftsmanship. This grant will support six young people to enrol in its Apprenticeship Scheme for their chosen craft. Apprentices will be matched with a company or master and spend three years learning essential skills, earning living wage and becoming industry ready. Founded in 1976, the Bengali Workers’ Association is a well-established community resource that provides services for all communities in Camden. This grant will support the Community Initiatives Coordinator to deliver a range of after-school activities, including an under-14s youth club, life skills workshops, dance classes and a girls only night on Thursdays. The community programme aims to bring together young people from a diverse range of cultural backgrounds. HASVO was established in 2004 as the umbrella organisation for eight Somali groups working in Harrow which collectively deliver a number of key community services. The Youth and Education project aims to reduce instances of anti-social behaviour by providing positive activities and services for young people, including weekly sports sessions and a homework club. It will also offer one-to-one mentoring to young Somalis in partnership with Children’s Services and the Youth Offending Team. The Community Education Forum delivers a range of community programmes from its base in Fulham, including language and numeracy classes, support for refugee women, a domestic violence project and a homework club and Fulham Boys School. This grant is towards the Young Offenders project which will provide mentoring support and training to young offenders who are about to leave prison. Life skills workshops will cover topics such as CV writing, mock interviews, cooking lessons and budgeting to equip the young people with the necessary skills to transition into independent living. £33,000 pa x 3 - Towards the Door to Design project and £100,000 as capital towards the John Lyon’s Charity Community Room. The Victoria and Albert Museum is the world’s leading museum of art and design and has a vast collection spanning the cultures of Europe, Asia and parts of Africa and the Americas. The Museum is undergoing a transformative capital project and the new Community Room will link the existing education facility, the Sackler Centre, with the new exhibition gallery and provide a dedicated space for community projects. The Door to Design project will use the capital development as inspiration to teach children about architecture and the built environment. The Showroom is one of London’s best-known independent contemporary art spaces, dedicated to profiling the work of emerging artists. It has a strong reputation for encouraging new and challenging approaches to art production and is proactive in integrating itself into the local community. Children, young people and adults collaborate in intergenerational projects through its core programme, Communal Knowledge. Each year young people engage with a range of professional artists to produce critically engaging and ambitious works using a variety of skills and mediums. The Royal Philharmonic Orchestra (RPO) is one of the UK’s leading performing and recording symphony orchestras performing a wide variety of repertoire throughout the country and abroad. 7Up is a structured programme of musical activities devised by the RPO and Brent Music Education Hub which includes a wide range of music-making, performance and listening opportunities for Year 7 classes and their teachers. It aims to inspire students by providing in-school access to world-class musicians and composers, giving them opportunities to perform side by side in public and provide challenging musical opportunities. Arvon is renowned for its residential creative writing weeks delivered at historic buildings in Devon, Yorkshire and Shropshire. This grant is an extension of the Unlocking the Future initiative that John Lyon’s Charity has developed with the Virtual Schools for Looked After Children. UpWrite offers two residential weeks each year to Virtual Schools in the Charity’s Beneficial Area. Each residential group takes part in follow-up workshops and activities led by writers in partnership with cultural venues across London. Westminster Abbey is a living, breathing church as well as an iconic heritage site. The Abbey is currently undergoing a huge capital project to create The Queen’s Diamond Jubilee Galleries, scheduled to open in the spring of 2018. The Galleries cover four themes: the Buildings, Worship and Daily Life, the Monarchy; and the Nation’s Memory. This grant is towards the Peculiar’s People project for schools and families, which will follow the themes to create curriculum-based sessions linking the education work with this exciting new capital project. Classical Opera presents dynamic, inspiring performances of the works of Mozart and his contemporaries, performing with its own period-instrument orchestra at venues such as Wigmore Hall, Cadogan Hall and the Barbican. The Mozart 250 Schools Programme engages children with classical music by looking at Mozart’s life, works and influences. There is a strong emphasis on cross-curricular areas including the history, geography and language of 18thcentury Europe as well as developing arts and crafts skills through historical costume and set design. Ealing Music Service is the lead organisation in the Ealing Music Hub for children and young people. It delivers Whole Class Ensemble Tuition (KS2), subsidised small-group and individual lessons in schools, singing opportunities in schools, CPD events for school staff and an affordable instrument loan service. The Bursary and Scholarship Awards are designed to enable children and young people to continue to play musical instruments despite their financial circumstances. This grant goes towards bursaries for four pupils in 2016 and a further four in 2017 and covers lesson costs, instrument hire, Saturday school costs, ensembles, grade exam fees and concert attendance. The Crafts Council is the national development agency for contemporary craft and an Arts Council England National Portfolio Organisation. It promotes education and skills progression by providing young people with direct experience of craft and making, supporting teachers to develop craft education skills and promoting routes into craft careers. 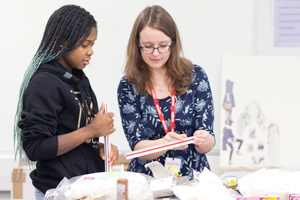 The Make Your Future initiative provides world-class education in ceramic and digital making to young people in 24 secondary schools in the Charity’s Beneficial Area. Elfrida Rathbone Camden supports families and young disabled people through project delivery, multi-agency partnership work and advocacy. The Families Together project supports vulnerable children and young people and their families through early intervention and links to supportive community resources. Sessions focus on family dynamics, routines, attachment issues, children’s behaviour and emotional well-being. St Vincent’s Family Project provides support and a variety of services for vulnerable families and their children who mainly live in South Westminster. The Family Space project provides a drop-in centre with supported sessions twice a week, activities for children, baby massage, a variety of accredited parenting programmes, support groups, healthy living courses, drop-in sessions, group therapy sessions using yoga and dance, arts and crafts and outings and events within the community. Berrymede Junior School is based in the heart of the South Acton Estate. The B-inspired project supports local families by providing a safe and secure environment to foster community relationships. The programme includes courses for women at risk of domestic abuse, ESOL for education and health, family and parenting support sessions, assertiveness, aspirational and inspirational projects, and employment and legal advice. Save the Children helps the most vulnerable children in the UK and overseas by providing education, protection, health services, tackling poverty and responding to humanitarian crises. The Families and Schools Together (FAST) programme in primary schools in Brent will support students and families who are experiencing community isolation and difficulties engaging in school. Established in 1919, the City Literature Institute is London’s largest, and Europe’s leading, adult part-time education centre, rated outstanding by Ofsted. This grant is towards the refurbishment of the John Lyon Hall which will ensure it remains a state of the art venue that provides the highest quality teaching environment for performing arts students and a flexible space for a diverse range of community events. Voice of Dalit International delivers a variety of services to the Dalit community in West London, including advice and guidance, health care, educational and youth programmes. It runs a supplementary school delivering sessions in Maths and Science as well as Reading and English and offers a range of creative reading activities and public performances during school holidays. Respond supports people with learning disabilities and/or autism whose lives have been affected by trauma, abuse or sexual violence. It works closely with special schools in the Charity’s Beneficial Area as a mechanism to reach the most damaged and vulnerable young people. This grant is towards the Young People’s Service which provides a mix of long term sessions and short term sessions, face to face, telephone and email support, guidance to parents and carers, Harm Prevention workshops and support and guidance to professionals. St Stephen’s is a growing mainstream mixed ability primary school located in the heart of Shepherd’s Bush. This grant supports students at St Stephen’s who do not have a statement of special education needs but are showing signs of needing sensory support. This includes children who are disruptive, are either hyperactive or hypoactive, are easily distracted and have difficulty paying attention in class and have difficulty reading or following directions. The Art Room offers art as a therapeutic intervention to disengaged children with emotional and behavioural difficulties. This grant will enable three schools in Ealing to send up to 24 children per week to the Art Room at Northolt High School. They will attend weekly sessions assisted by practitioners who are trained in psychotherapy, art, teaching, drama therapy and social work. MacIntyre is a national disability charity which provides services for over 1,200 children, young people and adults including residential care, supported living, a residential school, further education and a wide range of learning activities. MacIntyre has been awarded the contract to run Alexandra College in Camden which will provide places for up to 50 young people from September 2015. This grant is towards specialist equipment which will be invaluable in enhancing the learning and experiences of these students. Mapledown is a highly regarded state funded secondary school for pupils with Severe and Profound Learning Disabilities. The school caters for pupils between 11-19 years, all of whom have a Statement of Special Educational Needs and most of whom have additional sensory or physical impairments. This grant is towards equipment and facilities for the interactive and sensory learning space which will benefit the school’s pupils and the community. StreetGames aims to lead and strengthen a network of independent, community-based organisations delivering sports in disadvantaged communities. This grant provides capacity building to support 45 community organisations in our Beneficial Area to improve their sport offering to local young people and enhance their long term sustainability. Support is tailored to the needs of each group with areas of development identified as being fundraising, partnership development, volunteer recruitment and training for coaches. London Youth supports a network of more than 400 diverse community youth organisations which delivers programmes throughout London and at its two residential learning centres. This project builds the capacity of community youth clubs by providing them with the resources, finance and tools to deliver structured sports development. The coaches work with youth workers to deliver a ten-week structured programmes, repeated three times, loosely in parallel with school terms. Coaches and young people gain the skills to carry on delivering sport within the youth club. William Perkin C of E High School is part of Twyford Academies Trust. It opened as a new Free School in 2013 was rated as Outstanding for its first Ofsted in July 2015. A core element of the design brief for the School was to enable it to be at the heart of its local community and to provide facilities for community activities. This grant is towards the salary of the Community Sports Manager who oversees the Greenford Community Sports Development Hub. The aim of the Hub is to increase participation in sport for the residents of Greenford and neighbouring areas by providing coordination and facilitation of the new sporting facilities at William Perkin High School. Named after Eton College where it was first played at the side of the Chapel, Eton Fives (and 1-Wall Handball) is best described as “squash without a racquet”. The Eton Fives Association was established in 1950 to promote participation in the game. It coordinates more than 20 national competitions, promotes coaching initiatives and provides accredited coaching courses. This grant is towards the Fives programme at Westway Sports Centre. It works with community groups, youth clubs, schools, colleges and also groups of young people with disabilities and introduces them to this highly accessible game. Establised in 2009 by former English Rugby Captain Lawrence Dallaglio, the Dallaglio Foundation helps young people tackle life’s challenges through the power of rugby. RugbyWorks is a social inclusion programme run in Pupil Referral Units, Exclusion Units and other establishments where young people have become disengaged and removed from mainstream education. It engages young people in Years 10 and 11 and seeks to make them more employable through practical skill development, mentoring and employment skills support. The Brentford Football Club Community Sports Trust delivers coaching and curriculum based education sessions in schools and within the community. It offers a range of sports training to young people including a BTEC Level 3 in Futsal, a Foundation Degree course delivered in partnership with The Football League Trust and a Girls Coaching programme delivered in seven Ealing schools. This grant will support the expansion of these training services with a focus on bettering its project monitoring and evaluation. Exposure is a multi-award winning youth media charity based in north London. It provides vulnerable and disadvantaged young people aged 16-25 with media training and experience in design, photography, video, web-based applications and social media. This grant will support Exposure to deliver work with up to 40 young people each year to produce two short films, two 12-page special edition magazines and two short podcasts. The Media Trust was established in 1994 to empower the voluntary sector to have a voice and be heard through the power of media. This grant will allow The Media Trust to provide ten charities currently in receipt of JLC funding with a short film, made by professional filmmakers, about their work to use as marketing and publicity material. In addition, this grant supports two young people with placements on the London360 programme, which trains candidates in multi-platform journalism, enabling them to tell stories through film reports, broadcasts and articles and developing their expertise and teaching new skills. The primary purpose of the Young Barnet Foundation is to support and build capacity in the Children and Young People’s sector in Barnet. It will work strategically to bring different groups together to develop partnership projects and share resources and good practice. It will facilitate centralised fundraising based on a consortia approach in order to access funding from a variety of sources, provide a ‘Venue Bank’ for groups to share and access available sites to run their projects and distribute a Small Grant fund to member organisations. More information about the Young Barnet Foundation can be found here. The primary purpose of the Young Brent Foundation is to support and build capacity in the Children and Young People’s sector in Barnet. It will work strategically to bring different groups together to develop partnership projects and share resources and good practice. It will facilitate centralised fundraising based on a consortia approach in order to access funding from a variety of sources, provide a ‘Venue Bank’ for groups to share and access available sites to run their projects and distribute a Small Grant fund to member organisations. More information about the Young Brent Foundation can be found here. The primary purpose of the Young Harrow Foundation is to support and build capacity in the Children and Young People’s sector in Barnet. It will work strategically to bring different groups together to develop partnership projects and share resources and good practice. It will facilitate centralised fundraising based on a consortia approach in order to access funding from a variety of sources, provide a ‘Venue Bank’ for groups to share and access available sites to run their projects and distribute a Small Grant fund to member organisations. More information about the Young Harrow Foundation can be found here. BANG Edutainment was founded by a group of young adults in 1999 in Harlesden with the mission to tackle youth social exclusion by providing positive activities designed to build participants' motivation, skills and experiences. BANG delivers a variety of projects working with the hardest to reach young people throughout Brent, and offer creative activities including media production for its award winning community radio station, BANG FM. Current projects include Strength 2 Strength, an early intervention project for young people on the pathway to offending, which offers individual support, sports sessions and focussed educational learning. Watford FC Community Sports and Education Trust is the charitable arm of Watford FC and provides a variety of sporting and youth related positive activities in Watford, Harrow and Hertfordshire. Watford FC delivers a variety of programmes to children and young people and works directly with over 1200 disadvantaged young people aged 11-19 each week. Cedars Youth Club provides sports educational and youth activities throughout the week and is a popular destination for young people from throughout the borough. Working With Men works primarily with boys, young men and fathers to enable them to access services and improve their life chances. The core of the organisation’s work is outreach based, including conflict resolution and transition work in schools and Youth Offending Teams. In 2006 the organisation took over the responsibility of the management of Amberley Youth Club from Westminster Youth Services. The Amberley Youth Project offers young men a safe place to congregate and offers weekly group based sessions including cookery, music, film production and outdoor and indoor sports activities. Plot 10 Community Play Project provides comprehensive out of school care for children aged 4-14 years. It plays a key role in the local community delivering a wide variety of leisure and educational activities throughout the year including a breakfast club, after school club and school holiday activities including ball games, adventure play, arts and crafts, daily homework club and a weekly girls club. There are currently 163 children who attend the project with a core group of 90 children attending regularly. This grant is towards the salary of the Play Project Manager who delivers frontline work every day and provides full support for the development of the project’s staff. Barnet Refugee Service works in partnership with individuals and agencies to improve the quality of life and promote the physical, social and mental well-being of refugees and asylum seekers. Each year it supports over 1,000 refugees and asylum seekers by providing advice, volunteering support, a job club, homework club, men’s group, women’s group, ESOL, health programmes, emotional wellbeing projects, Ecotherapy and various youth programmes. The Youth Together programme engages disadvantaged young people at risk of social exclusion through fun social activities and access to education, training and advice. Safer London aims to improve the safety and well-being of young people in London who are affected by violence and crime. It provides a range of specialist services for young men and women affected by gang-related sexual exploitation and/or violence including individual and group sessions, a relocation support service that moves young people away from lives affected by violence, and mentoring and skills development. This grant is towards the Specialist Young Men’s Service which provides intensive weekly 1:1 support and interventions to young men referred into the programme from professionals within the voluntary, community and statutory sectors, as well as by self-referral. Depaul UK offers supported accommodation, learning and development opportunities and mediation and resettlement services to young people aged 16-24 years old who are homeless or who are at risk of becoming homeless. Nightstop London is its emergency accommodation project which provides free, safe and secure accommodation in the homes of approved volunteer hosts, preventing young people from sleeping rough or sofa-surfing. Depaul UK staff match a young person with an available host and the young person is offered an evening meal, a chance to shower, is given clean clothes and is given the sole use of a bedroom for the night. Ealing Mediation Service works to reduce conflict and anti-social behaviour by assisting local people to resolve their neighbour and community disputes through the use of community mediation. The Peer Mediation schools project introduces the concept of mediation to schools in order to underpin behaviour policies to try to resolve disputes between pupils at an early stage. Ealing Mediation Service delivers INSET training to school staff and assemblies to each year group to introduce the programme as part of a whole-school approach. Lauderdale House is a Grade II listed building and is a popular and well-used resource for the local community in Camden. The capital grant from John Lyon’s Charity is specifically toward ensuring that the Learning Centre is connected to the heart of the building. This grant also enhances the education and outreach output delivered by the House and contributes towards the salary costs of a new Education & Outreach Officer. The primary focus of this role is working with local secondary schools, youth groups and supplementary schools to develop a programme that appeals to them and meets their needs. The Primary Shakespeare Company (PSC) engages with schools for a whole term, working across the primary curriculum, delivering Inset for teachers and bringing local communities together through the production of annual Shakespeare Festivals where children participate in live performances alongside theatre professionals. This grant maintains PSC’s existing provision to six London boroughs (Barnet, Brent, Camden, Ealing, Kensington & Chelsea and Westminster) while extending provision to schools in Harrow. The PSC is also piloting a series of intensive ‘Shakespeare Weeks’ to facilitate schools participating in the project. Camden Arts Centre (CAC) is a world class contemporary visual arts space dedicated to engaging with the highest calibre artists from across the international arts scene. There is a focus on reaching out to and engaging with low income families, young people, those who face barriers to further education and young people with profound and multiple learning disabilities. This grant contributes towards the development of the Education Programme including the widening of the primary and secondary school programmes to with more schools in Barnet and Brent, increased family days and increased work with teachers. Handel House Museum, at 25 Brook Street, is where Handel lived from 1723 until his death in 1759, and where he composed some of his most famous works. It is now a Museum seeking to promote knowledge, awareness and enjoyment of his music to as wide a public audience as possible. The ‘Baroque Central’ project works with primary schools, introducing children to Handel’s music and to the history and culture of 18th century England. Pupils have the opportunity to visit the Museum, and outreach sessions are delivered at each school, culminating in a performance. The Museum of Brands, Packaging and Advertising was established to create access to a nationally significant collection of approximately half a million examples of everyday household goods and related promotional materials that span 150 years of consumer culture. Sessions are delivered to school groups on topics such as Consumer History, Packaging and Design and 20th Century Leisure and Entertainment based on a variety of curriculum areas including Science, History and Design & Technology. The Engaging Young Learners project is specifically targeted at groups in the Charity’s beneficial area and engages with families and Early Years settings, primary and secondary schools, and further education colleges. A move to new premises at the Lighthouse Building in Ladbroke Grove in October 2015 will increase the Museum’s capacity to deliver education programmes. The Unlocking the Future for Looked After Children initiative has been operating through the Virtual Schools in six of the Charity’s boroughs in order to provide further opportunities for Looked After Children (LAC). 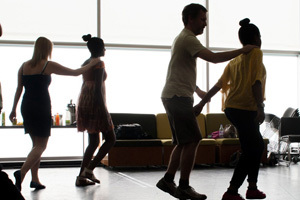 This project seeks to increase access for LAC to good quality arts initiatives by providing a week-long, large-scale activity programme at the Lyric Theatre, Hammersmith, which includes performing arts, spoken word, dance, drama and music. Afghan Association Paiwand is the leading Afghan led organisation in the UK, delivering a variety of services to communities throughout North London. This includes three supplementary schools, ESOL classes, mentoring, advice, numerous social, cultural and sporting activities, and the provision of support and sheltered accommodation for unaccompanied minors. This project brings together 18 mainstream schools in a supplementary school programme which provides comprehensive all day Saturday classes to 520 disadvantaged young people. Westway Trust is one of the UK’s first social enterprises and one of the most successful Development Trusts. It manages and regenerates 23 acres of land left derelict from the building of the Westway Flyover and delivers a variety of projects to benefit the population of North Kensington. This Supplementary School Partnership project provides a core programme of Maths, English or Science classes at 16 supplementary schools in Kensington & Chelsea. Programmes are based on priorities identified by pupils and parents at the beginning of each term. Debate Mate uses debating to deliver key skills to young people in non-selective state schools in areas of high child poverty. The Core Programme is comprised of 16 weeks of after-school workshops and competitions and is delivered to 18 schools in the Charity’s beneficial area each year. It teaches young people how to debate, which enriches their learning, improves their academic achievement and helps them to develop skills in communication, teamwork, leadership and critical thinking. Established in 1921, English PEN is the founding centre of the worldwide writers’ association, International PEN, and supports ‘the freedom to read and the freedom to write’ through defending freedom of expression in the UK. It supports publishers and translators of international literature, and equips young people and those excluded from mainstream society with access to literature and creative expression. The Brave New Voices initiative provides creative writing and translation workshops for young refugees and asylum seekers to express their own voices and encourage them to develop their own stories. Woodland Adventure - Forest School Harrow is based in a patch of woodland behind All Saints Church Harrow Weald. Forest School sessions are run three days a week for small groups of pupils who have been identified as not coping well in mainstream education. Activities include: building natural shelters using basic tools, craftwork using materials found in the forest, fire building and open air cooking, learning about soils, habitats and mini-creatures, planting seeds and growing crops. A grant from JLC in 2002 helped establish the forest school and this grant is helping it to develop. Friends of Barnet Environment Centre operate a seven and a half acre nature reserve in Byng Road, Barnet. This project contributes towards the running of environmental education sessions at the Environment Centre for primary schools, and volunteer-run open days at weekends to encourage family learning. During the primary school sessions, children participate in in a range of activities including pond-dipping, identifying mini-beasts, sweeping the meadow for insects and learning about plants and trees on a woodland trail. Sayers Croft Field Centre is a residential centre for environmental and outdoor education owned by Westminster City Council and is based in Surrey. The Charity’s grant is towards a programme at Paddington Recreation Ground that supports forest school and other outdoor learning sessions and is delivered by the Sayers Croft Outdoor Learning Unit. Activities include pond-dipping, exploring the woodland, identifying insects in their natural environment and using natural materials to create art. Just Enough UK works to educate children from the age of 8-16 on modern day slavery. It works in partnership with the Metropolitan Police, the NSPCC and Barnardo’s and delivers workshops to schools on the history of slavery, why slavery still exists today and how to spot and report signs of slavery to the Modern Slavery Helpline. This grant enables Just Enough UK to deliver 30, two-hour workshops in schools each year of the project. The workshops are fun and engaging, and teach students about modern day slavery by using examples they can understand, including fair pay for fair work, and the importance of protecting one’s passport. The Brent Centre (BCYP) works in innovative ways to provide tailored mental health treatment and support specifically to adolescents and to conduct research into adolescent breakdown. This grant contributes towards the running of in-house, specialist therapy services for young people aged 14-21. The beneficiaries are mostly from disadvantaged backgrounds, and the services provided to them are accessible, without stigma and effective. The Brandon Centre for Counselling and Psychotherapy for Young People offers excellent mental health treatments in clinical settings including a contraceptive and sexual health service. This grant enables the Brandon Centre to help up to 80 young people per year to overcome mental health problems that are a barrier to their prospects in education, training and employment. Barnet and Southgate College is a Further Education college for students aged 16 upwards. The college recently opened its new LLDD Centre with excellent staff and state of the art facilities. Facilities include a hydrotherapy pool, specialist kitchens, a flat for independent living skills, a sports hall, soft room and gym. This grant is towards specialist equipment, including drama and music studio equipment, frame hoists and sensory equipment. Barnet, Brent, Ealing, Hammersmith & Fulham. Tall Ships is the world’s oldest sail training organisation and provides personal development for young people. It has seven residential centres (vessels) including a square rigged tall ship, four ocean going yachts, a catamaran and a ketch. This grant allows 75 young people from the Charity’s beneficial area to partake in the Wider Horizons project. The project offers residential activities for young people with special needs and/or disabilities. It allows participants to experience all aspects of sailing and voyaging, including stowing sails, tying knots, navigation and repairing equipment. The Royal London Society for the Blind supports children and young people who are vision impaired to have the best start in life and live a life without limits. Sport is a crucial way for vison impaired young people to develop resilience, confidence and independence as well as boosting their health and wellbeing. The Sport Without Limits project provides regular sports activities at Willesden Sports Centre which are delivered by specialist coaches. Norwood is a comprehensive welfare organisation that helps people with learning disabilities and vulnerable children and families to maximise their potential at home, in school and through life. The In-Betweeners project is a recreation club for young people aged 16-25 who have moderate to severe learning disabilities and / or associated physical disabilities. The Club’s capacity was limited to 12 young people who are supported on a one-to-one basis. This grant allows the club to expand to accommodate 15 members. Bishop Creighton House helps disadvantaged people in West London to live independent lives. The Literacy Skills for Life programme provides literacy education for 16-25 year olds with a learning disability who have fallen significantly behind in their education. 18 young people in the Charity’s beneficial area benefit from one-to-one sessions delivered by qualified literacy tutors, and 35 young people attend regular group literacy workshops. London Youth Rowing was established in 2004 to bring the sport of rowing out of independent schools and into communities that would not otherwise have considered rowing a sport that was available to them. It delivers indoor rowing sessions in state schools and youth clubs at a variety of water based centres throughout London. This grant is towards the expansion of activities into North West London boroughs not on the River Thames. Phoenix Canoe Club operates from the Phoenix Outdoor Centre at the Brent Reservoir. The Club provides a range of activities to schools, colleges and universities, youth clubs and community groups. This grant contributes towards the salary of the Centre Development Director, who ensures the continuity of the current programme of activities, as well as developing these to provide increased opportunities for disadvantaged groups. Targeted programmes are being developed which work with young people with challenging behaviour, young offenders and those on the ‘at risk’ register, and for children with special educational needs. Helping Hand Global 24/7 is a human rights charity that provides a range of services promoting human rights and supporting victims of human rights abuses. Services include outreach support work, legal representation, skills training and counselling for marginalised and vulnerable members of the community. The Sewing for a Better Future project provides 30 young Somali women with accredited vocational training in dressmaking and ESOL Skills for Life. Two 2-hour sessions are delivered each week for 48 weeks. The project targets young women who are isolated and not in employment and provides opportunities to increase their English skills. Originally formed in 1945, the Brunswick Club is a youth centre in the heart of Fulham offering educational and leisure facilities to children and young people from low-income families. Activities include a Senior Youth Club (three days per week), a Junior Youth Club (two days per week), a weekly girls group and various sports clubs. The Sulgrave Club is a cornerstone youth and community organisation in West Hampstead. 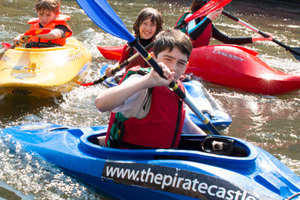 The Senior Club provides three nights per week for young people aged 12-19, six weeks of junior and senior holiday activities and runs residential to accredited outdoor activity centres. The Senior Youth Worker delivers a wide range of programmes to increase participation and involvement. St Andrew’s Church is a Church of England parish church with a popular youth centre which acts as a focal point in serving the local community. The Centre is used by various local groups of different cultures and religions. Core services include a Youth Club for 11-18 year olds, a Junior Club for 8-11 year olds, a Mother and Toddler group, Taekwondo classes for children, Tamil dance lessons, Brownies, Cubs and a playgroup. The South Hampstead and Kilburn Community Partnership is a former regeneration partnership that runs a variety of services on the Rowley Way Estate, include the ARC Youth Club. ARC is a safe place for young people to meet friends and participate in arts, sports and music activities and projects. The ARC also provides one to one support, mentoring and informal advice on various issues during drop-in sessions. Workshops are held on a number of youth-related issues including healthy relationships, gangs and conflict, and the effect of drug and alcohol abuse. Kentish Town Community Centre runs an under 5’s drop in, a youth service and an over 50’s social club. 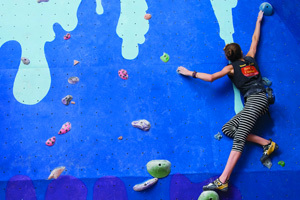 The Youth service provides four evenings of activities a week for young people aged 13-19. YOUth Impact Camden was launched to address some of the inequalities faced by young people from Black, Minority, Ethnic and Refugee backgrounds. Activities will be delivered on a one-to-one and group basis, focussing on issues of conflict resolution, careers and futures, crime and gangs, personal safety and tackling stereotypes, discrimination and racism. The No Way Trust provides awareness programmes to help children and young people learn about the causes, consequences and impact of crime and anti-social behaviour on themselves and their communities. Crime Safety Awareness Days are delivered in schools to dispel the myths and misconceptions of imprisonment and accurately and sensitively portray the effects of criminal penalties. The Youth Panel brings together representatives from each of the schools as wells as representatives from the No Way Trust to discuss issues affecting them and inform content for future workshops. ReachOut is a mentoring charity working with children in disadvantaged communities to raise aspirations and help them grow character and competence. The Club provides mentoring support for Year 5 and 6 pupils who are referred to the programme by their teachers if they have poor academic attainment, low attendance, challenging behaviour or low confidence. ReachOut deliver 30 weekly sessions to three schools each year. Students receive one hour per week of individual academic support from their mentor as well as participating in group activities such as sports, art and drama, leadership and responsibility.